At Fhios we like to remember that the relationship with our customers make us bigger every day. Today we are going to talk about our job with Nestlé, a project which would not have been possible without their trust in us. SEO audit that we sign in 2009 was the starting point of a relationship that has gained stength after few years. 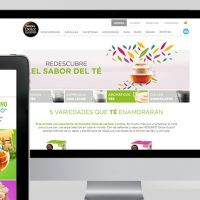 The initial plan was to optimize its website; Good results and good working relationship in this project derived in the extension of our services for Chocolates Nestlé, Nestlé TV and NESCAFÉ Dolce Gusto. Nestlé Customer Media member, Sandra Monerris, says: “Fhios help us to consolidate our position in YouTube many years ago, structuring and positioning the content in different channels and playlists. I emphasize his meticulous work and customer oriented vision to reinforce chasnnels like ‘Nestlé Cocina’, a referent channel in the culinary world and grows year after year in views and subscribers”. Fhios enter into NESCAFÉ Dolce Gusto’s project in 2014 and since that moment we have cared the relationship: they give opportunities and we give results. 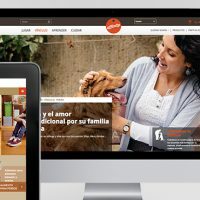 Ecommerce & Digital Brand Manager NESCAFÉ® Dolce Gusto®, Victoria Parra, explains that “working with Fhios is working with a digital multidisciplinary team where everyone of us enjoy with what we do”. Nestlé gives us the pleasure to work with ‘gusto’. We work every day to get high quality in every task, from the Contact Plan to sending campaigns. Also briefings, segmentation strategy, web image ideation and creation and also definition and execution of the SEO strategy, among many other things. We make analysis and periodical reports which are useful to keep improving. Creative and technological Opportunities have been numerous for the team and recent B2B pieces develop is the proof of the results we can get. The relationship between the members of the team is well cared, and that is the first key of our success. As Fhios Business Manager ,Anna Relats, says, “we are not suppliers, we are partners”.